Relax, heal, rejuvenate, detoxify and oxygenate! The SOQI Spa Bed does all these things for you. Whether in perfect health or dealing with minor to severe ailments, the SOQI Bed (SO means Solar, QI means Life Force Energy) is for everyone in all walks of life and settings. Made by Dimension One Spas, the AquaFit 19DT hot tub comes with two different temperature-controlled areas, each with its own filtration system. The AquaFit® 19 Dual Temp is the ultimate hybrid of fitness and hydrotherapy. It offers maximum variety; one side keeps a person at peak performance temperature during the most vigorous workout, while the other heats up for a soothing, post-exercise soak. Swim stationary laps for a full-body workout, row to work the upper body and arms with a robust rowing system, run or jog underwater in place for a cardiovascular workout, or get a massage with fully adjustable, hydrotherapy jets. Make your workouts a blast with AFS! The water-resistant Hydro Physio Lifeststyle treadmill lets you get your jogging done while simultaneously soaking in a hot tub. 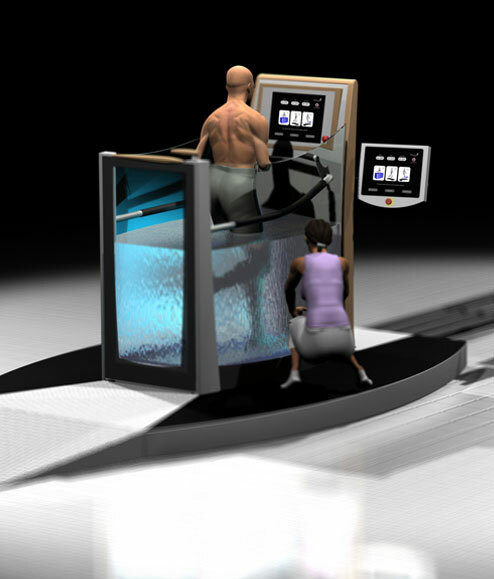 The English invention consists of a clear, glass, light-up chamber which allows personal trainers to keep a watchful eye on their clients as they perform their designated exercises. The water level can be adjusted for different exercises to address different muscle groups. Sweeping glass side panels make the user less enclosed and also give training staff a full view of how the athlete/patient is moving. This helps with the detection and treatment of injuries. Lighting through the water enhances this feature. Modern styling makes the design free from the stigma of existing white plastic, medical hydro pools. Hydro Physio Lifestyle is a performance improvement tool and is confidently styled to fit within modern interiors. Variable water heights enable different muscle groups to be worked upon. This feature also makes the unit adaptable to the height and mass of each user. The Hydro Physio Lifestyle is easy to install in comparison with built in full pool under water equipment. 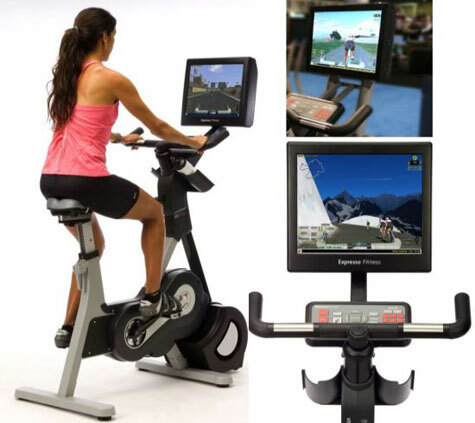 This also means that the product can be made a part of existing circuit training. 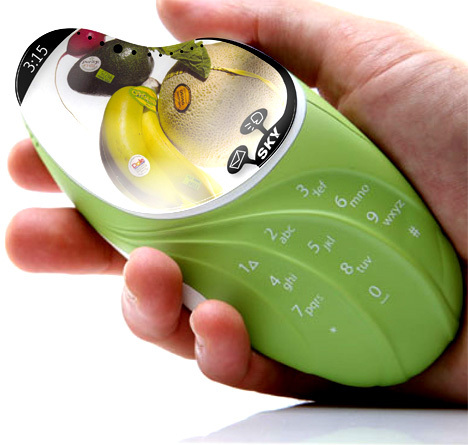 This health conscious phone enables users to track their health through nutrition and fitness. Other users of this phone with similar goals (lose weight or run a 5k) networks together to motivate, and hold the others accountable for their workout sessions.